historical event: Even today, people who have permanent consequences in terms of disability live in this area. The Union Carbide Corporation had to pay damages of $ 470 million, a relatively small amount considering the number of victims. One of the worst environmental and human disasters in history happened on this day. In the city of Bhopal in India, toxic gas leaked from a plant, poisoning over half-a-million people in the area. The plant was owned by the U.S. Union Carbide Corporation (formerly owners of the Energizer batteries brand), and produced pesticides. The accident occurred when water got into the container with toxic gas methyl isocyanate and caused a chemical reaction accompanied by an increase in pressure. Valves released the excess of poisonous gas into the atmosphere. Since a lot of people lived in the slums surrounding the factory, the number of casualties was very high. 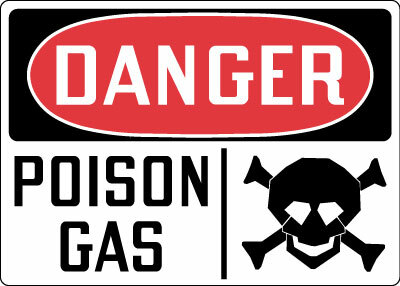 Estimates of the number of deaths reach up to 11,000, especially when those who subsequently died from the effects of exposure to the gas are taken into account. Even today, people who have permanent consequences in terms of disability still live in this area. The Union Carbide Corporation had to pay damages of $ 470 million.